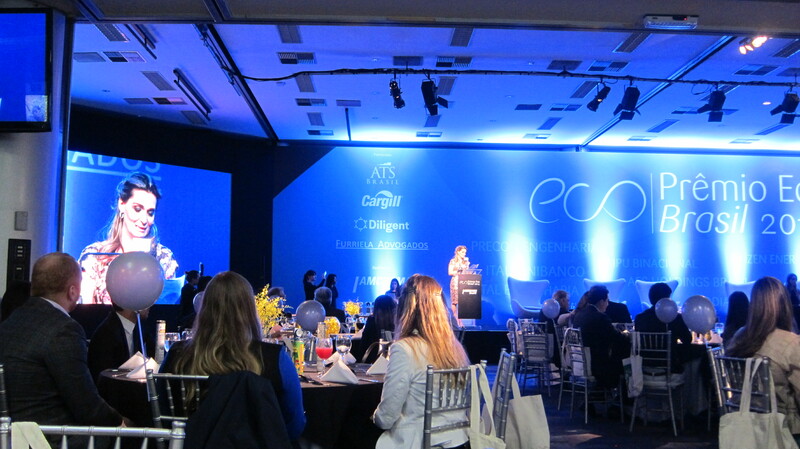 Last Friday Maria and I were invited to the Amcham (American Chamber of Commerce) Prêmio Eco awards ceremony, the most important awards ceremony to recognise achievements in sustainable products, services and projects in Brazil. This year Maria was one of the technical judges, as was our good friend Homero Santos who was also a judge and who played a key role in the creation of the awards ceremony in 1982. Hosting the event was Daniela Aiach, Director of Sustainability at Amcham, who was joined on stage with Hélio Magalhães, CCO of Citibank Brazil and who is also the President of the Council of Amacham, who said to the audience that “Prêmio Eco is highlighting companies who are changing the course of history”. 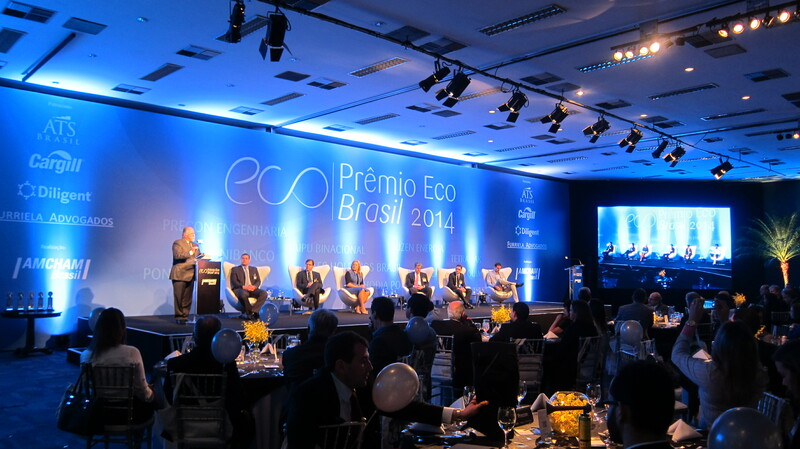 Prêmio Eco is the oldest awards ceremony in the Brazil which recognises corporate sustainability. Over three decades, the award has encompassed 2,267 national and multinational companies, which account for 2,763 projects, with 262 receiving awards. 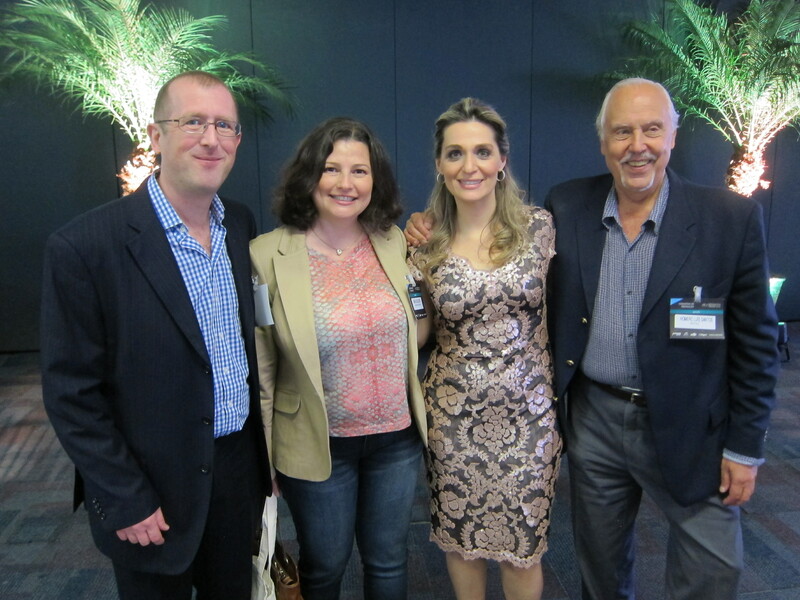 Magalhães continued by telling us that “The awards tell the story of sustainability in Brazil. It was created before the term ‘sustainable development’ which emerged after the publication of the report ‘Our Common Future’ in 1987“. A total of nine companies, both small and large, were shortlisted this year for their achievements relating to the areas of Strategy, Leadership and Innovation for Sustainability and Sustainability Practices. The nine companies were Tetra Pak, Itaú, AES, Engineering Pontal, Precon Engineering, Beraca, Itaipu, Raizen and Rhodia, with Tetra Pak winning the overall prize. What I liked about the format of the ceremony was that each company shortlisted was able to have a representative join one of two panel sessions in which they were able to discuss their projects in more detail and also engage in more general dialogue about both the challenges and achievements relating to sustainable develop in Brazil.